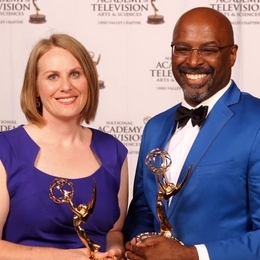 Rodney Veal, adjunct faculty for dance, has received an Ohio Regional Emmy® Award in the Arts/Entertainment category for his work with Lynnette Carlino on ThinkTV's episode #101 of The Art Show. The 51st Annual Gala was held in Lexington, KY on Saturday, July 25th. The Art Show program is broadcast on Sunday afternoons at 5:00 p.m. on ThinkTV16 and Think TV16HD.